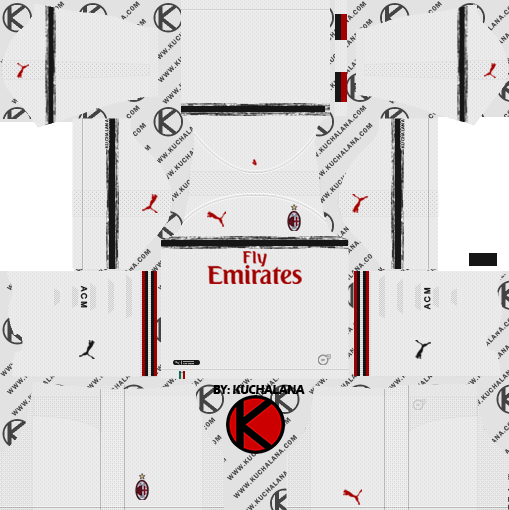 AC Milan 2018/19 kits for Dream League Soccer 2018, and the package includes complete with home kits, away and third. All Goalkeeper kits are also included. This kits also can use in First Touch Soccer 2015 (FTS15). 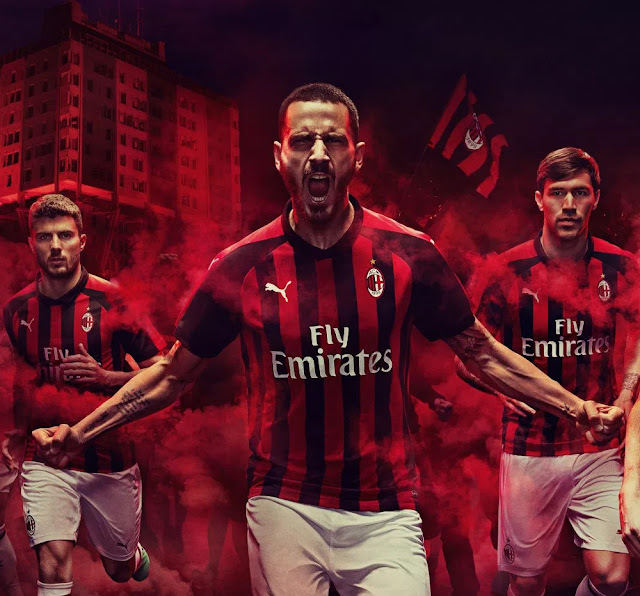 The time has come to leave adidas behind: AC Milan presents its new local shirt with PUMA as its new official supplier. Naturally, the brand of the cat did not want to risk much in its first year, which results in a conservative shirt that does not impact so much if you consider that the last with the three strips followed a similar line. The new Milan jacket has a button-down polo shirt template. The canes are all the same size, with a red one serving as a starting point over half. The sleeves are mainly black, with red formstripes that are born in the neck and end in the fist. 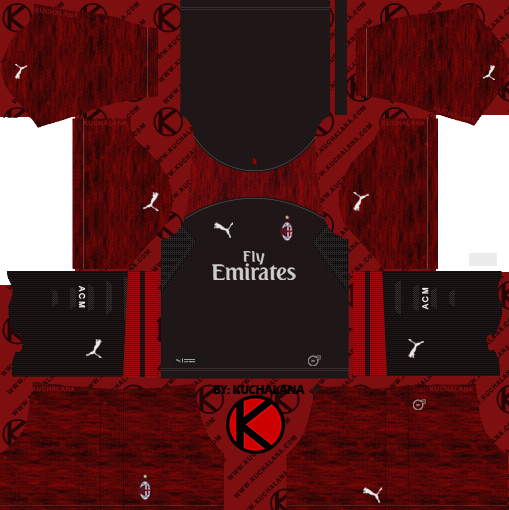 A personalized graphic detail ('Il Diavolo Rossonero') can be seen at the top of the back, which also has poles, but with a black one in the center. Finally, a tag with the Italian flag can be seen at the waist. The uniform is completed with white shorts and socks, with alternatives in black. 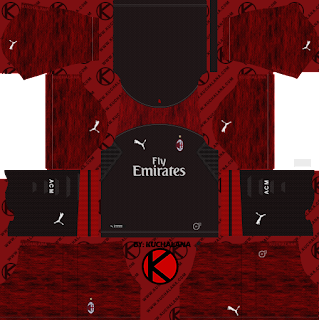 14 Komen untuk "AC Milan 2018/19 Kit - Dream League Soccer Kits"
Georgian club kits dream leagues? 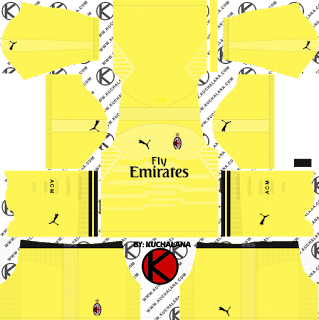 Please take the away goalkeeper ac milan's shirt 18/19?